On July 16, 1999, John Fitzgerald Kennedy Junior was flying his private Piper Saratoga II, with his wife Carolyn Bessette and his sister-in-law Lauren Bessette. He was to drop Lauren off at Martha’s Vineyard, then fly on with Carolyn to Hyannis Port for the wedding of his cousin, Rory Kennedy, the following day. At 9:39, as he was approaching Martha’s Vineyard airport, John radioed the control tower for landing instructions, giving no sign of difficulty. At 9:41 p.m., witnesses heard and saw an explosion in the sky, at the precise moment when John’s plane suddenly plummeted into the ocean at the radar-recorded speed of 4,700 feet per minute. The next day, pieces of luggage from the plane were found floating nearly two miles away from the point of last radar contact. The search and recovery operations were conducted by the Air Force and the Navy under national security conditions, with news reporting controlled from the Pentagon. The National Transportation Safety Board (NTSB) concluded its investigation eleven months later, and announced as “probable cause” of the plane crash “the pilot’s failure to maintain control of the airplane”, with “haze and the dark night” being possible factors. The corporate media amplified the implication that John was an inexperienced and reckless pilot who ignored the dangerous weather conditions and who is to blame for his own death and the death of his wife and sister-in-law. 2) Brought up in the worship of his father, John had taken a keen interest in “conspiracy theories” about his death at least since his late teens. His knowledge deepened in his thirties, made him aware of State and media cover-ups in other affairs, and motivated him to publish, eight months before his death, a cover article by Oliver Stone, director of the groundbreaking film JFK, titled “Our Counterfeit History”. If those two things can be proven — and they will — they must be connected. John’s quest for the truth about President Kennedy’s assassination cannot be separated from his political ambition to reclaim the White House, anymore than it could be in the case of his uncle Bobby, who, as David Talbot has shown (Brothers: The Hidden History of the Kennedy Years, Simon & Schuster, 2007), was planning to reopen the investigation on the Dallas coup as he was campaigning for the presidency in 1968. These are two sides of the same destiny. The heir and the avenger are one and the same person. Therefore, the deep power network that had decided to eliminate Bobby on the threshold of the White House had every reason to make the same decision about John Junior. True, John Junior was probably not yet ready for the presidency — although some, like Pierre Salinger, believed he would have run for president in 2000. But on the other hand, for many reasons, he was a more natural candidate than RFK, with more potential. If he had to be stopped, didn’t it make sense to stop him before he made his political ambitions public? July 1999 was the right time; after that, the motive would be harder to conceal. Even for media-brainwashed Americans, a second heir to JFK killed on the road to the White House would be hard to swallow. Not to mention the fact that to let JFK Jr. live longer would be taking the risk of having a JFK III coming into this world: more trouble in perspective. Indeed, Carolyn may have been pregnant when she died with her husband. Little “John John” turned three the day of his father’s funeral, and he broke the world’s heart when he solemnly saluted his father’s coffin. That iconic image encapsulated a nation’s grief, and impressed on millions of Americans the dream of seeing him reclaim the Oval Office one day. For in the American collective psyche, the Kennedys represented royalty, and JFK Jr. was the legitimate heir to the throne. He was, wrote the New York Daily News the day after his death, the “charismatic crown prince of America’s royal family.” “He was the closest thing we had to a crown prince,” says Chris Cuomo in I am JFK Jr.
After their father’s death, their uncle Bobby played the role of surrogate father for John Jr. and his sister Caroline. When Bobby was assassinated in his turn in June 1968, Jackie said: “If they are killing Kennedys, my kids are the number one targets. I want to get out of this country.” She married shipping magnate Aristotle Onassis, whose assets included a seventy-five-member, machine-gun-equipped security force. And so, although John could hardly have kept real personal memories of his father, he was constantly, so to speak, steeped in the memory of him: “Whenever another child was visiting,” writes Andersen, “he would inevitably ask, ‘Would you like to hear my father?’ Then he turned to a small stack of records and selected one to play.” In 1972, Jackie asked Pierre Salinger to join her and her children for a month: “I want you to spend an hour or an hour and a half a day with John Jr. and Caroline and explain everything about what their father did.” And so Salinger did. John’s craving for information about his father was never quenched. His friend and French biographer Olivier Royant reports that, when running his magazine George, John hired Jacques Lowe, JFK’s official photographer, and kept questioning him about his father for hours. Even John’s irresistible yearning for flying, despite his mother’s plea not to do so, can possibly be traced back to his childhood, “when he and his mother watched as Daddy’s helicopter took off from the South Lawn in 1962,” or watched him reappear from the sky. When Nanny Shaw announced to little John in the morning of November 23, 1963, “John, your father has gone to heaven to take care of Patrick [JFK and Jackie’s third child, who did not survive his first month],” John asked, “Did Daddy take his big plane with him?” “Yes,” she answered. “I wonder,” John said, “when he’s coming back.” Significantly, John gave his first private plane the registration number N529JK, a reference to his father’s May 29 birthday. In 1995, John launched his political magazine George. Under the appearance of superficiality, it engaged in controversial issues of deep politics that reflected John’s interests. 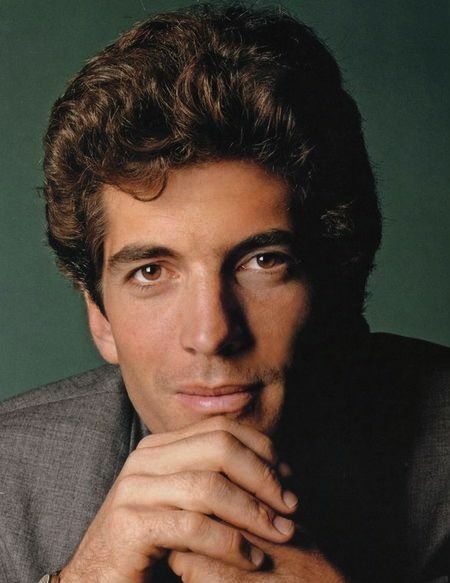 His longtime friend Robert Littell wrote, in The Men We Became: My Friendship with John F. Kennedy Jr. (St. Martin’s Press, 2004): “George was also an opportunity for John to build a platform from which he might possibly move into political life.” After all, his father had also pursued a career in journalism before entering politics. George was also a means for John to interact with political actors and thinkers. John didn’t avoid letting people know his interest for his father’s legacy. The September 1996 cover of George features Drew Barrymore grimed as Marilyn Monroe with the caption: “Happy Birthday, Mister President,” an obvious — and, to some, indecent — reference to Marilyn’ serenade in front of JFK at the Madison Square Garden in 1962. In October 1997, for the 35th anniversary of the Cuban Missile Crisis, John travelled to Cuba to meet Fidel Castro (the interview he had wished didn’t materialize, but Castro invited him for dinner and for a swim in the Bay of Pigs, and rumor has that Castro gave him his view on his father’s death). John’s interest for the presidency also transpired heavily in George, particularly in the recurrent section “If I were president,” in which various personalities were asked for suggestions. For the October 1998 issue, for example, Tony Brown, author of Empower the People: A 7-Step Plan to Overthrow the Conspiracy That Is Stealing Your Money and Freedom, declared that, if he were president, he would repeal the Federal Reserve Act of 1913. Donald Trump and John Kennedy Jr. in 1999: Were they up to something? Christopher Andersen supports the view that, after consulting with Democratic leaders, John had made up his mind for the Senate. It clashed with Hillary Clinton’s plan. The Clintons, who were to leave the White House in January 2001, were about to purchase a home in Chappaqua, N.Y., and Hillary was gearing up to run for the Senate as a stepping-stone to the presidency. After reviewing all those testimonies, I feel that no certainty can be reached about John’s immediate plan, other that he was at the dawn of a bright political future and that he had several options in New York State. If we believe Noonan — and why shouldn’t we — then Laurence Leamer, author of Sons of Camelot: The Fate of an American Dynasty (HarperCollins, 2011) is right when writing that “John watched with growing dismay as Hillary subtly insinuated herself into what he considered his state.” It is easy to guess that, in return, Hillary saw John as a serious rival, on the state level in the short term, and on the national level in the long term. She stood no chance if John ever stepped across her way, and that was sure to happen sooner or later. Let’s move on to the next question: how dedicated was John to getting to the bottom of his father’s assassination? According to testimonies from his friends, John Junior was haunted by the death of his father and quite knowledgeable about independant investigations contradicting the Warren Report. In 1999, he was not a newcomer to JFK conspiracy theories; his quest for truth had started as early as the late 1970s. His old high school girlfriend Meg Azzoni, in her self-published book, 11 Letters and a Poem: John F. Kennedy, Jr., and Meg Azzoni (2007), writes that as a teenager, JFK, Jr. was questioning the official version of his father’s death: “His heartfelt quest was to expose and bring to trial who killed his father, and covered it up.” Don Jeffries, author of Hidden History, claimed that “another friend of JFK, Jr.’s adult inner circle, who very adamantly requested to remain anonymous, verified that he was indeed quite knowledgeable about the assassination and often spoke of it in private.” JFK Jr., said Jeffries in a radio interview, was on “a Shakespearian quest,” “to avenge his father’s death,” like young Hamlet. As many truth seekers who had started with the Kennedy assassination, John had developed an awareness that other events of great historical consequence were the subject of State-orchestrated lies and cover-ups, with corporate media complicity. And so the JFK assassination was not the only “conspiracy issue” explored by George. It is worth taking a look at two others, for they may inform us on the direction John Jr. was taking in his quest for truth. Back down he did, but in May 27, 1999, he reiterated his claim, and John Jr. would die 50 days later. I don’t subscribe to that theory, but it is worth mentioning. There is no confirmation that John Junior read Michael Piper’s book Final Judgment blaming Israel for the Kennedy assassination, and released in 1993. But it is in the realm of possibility, given his personal quest for the truth on his father’s death, and his consideration for the theory that Rabin was assassinated by the Israeli Deep State, rather than by a lone nut. So, was JFK Jr. himself assassinated? Here is man whose road to the presidency seemed traced. No other man of his age had better chances to reach the White House one day. And no other man in the world had more reasons to want the 1963 Kennedy assassination reinvestigated. He was already trying to educate the public through his magazine, at the risk of exposing his own beliefs, something no other Kennedy had ever done (even RFK had kept his doubt on the Warren report private, and his plan to reopen the case secret). And this man, his best friend Noonan believes, was just about to announce his candidacy for a New York Senate seat, which everyone would have understood as the first step toward the White House. Pierre Salinger and others even believe he would have run for president in 2000. What are the odds that he would die at this precise moment by accident? How lucky for his enemies to be spared the trouble of eliminating him, as they had his uncle in 1968! If that was an accident, then that alone deserves to be called a “Kennedy curse,” doesn’t it! If it was an accident, then the Devil caused it. Or was it Yahweh? A bond of blood and spirit of a comparable nature existed between John F. Kennedy and the son that bore his name. Although John Junior could not speak with his father, nor even remember speaking with him, his love and loyalty to his father, nurtured by his mother, was the driving force in his life. From the point of view of JFK’s murderers, JFK Jr. was JFK redivivus, and RFK redivivus at the same time. All three were like one man who had to be killed three times. Was JFK Jr. assassinated? As we are going to see, the evidence may not be absolutely compelling, but what can be proven beyond a reasonable doubt is that federal authorities and corporate media engaged in a massive cover-up of any facts that contradicted the theory of the accident due to the pilot’s error. And that is enough, I think, to decide between accident and assassination. The transgenerational cabal who had the motive, means and opportunity to murder JFK and RFK (and the power to get away with it) had the same motive, means and opportunity to murder JFK Jr. (and the power to get away with it). We know for sure that, in 1968, RFK had both the ambition to win the White House and the determination to reopen the investigation on the death of his brother (read my article “Did Israel Kill the Kennedys?”). I have now shown that the same can be ascertained about JFK Jr. in 1999. Obviously, that made him a target, the next Kennedy on the list. Unfortunately, I have found no source supporting Madsen’s claim about an aborted FBI investigation (that’s always the problem with Madsen). But the fact that no news of a criminal investigation ever reached the public is in itself very puzzling, given the history of Kennedy assassinations and the natural assumption that JFK Jr. could be a target. That JFK Jr. had powerful enemies was well-known to the whole world, and the lack of a criminal investigation may be taken as confirmation of their power. Independent investigators have gathered a fair amount of evidence that JFK Jr.’s death was a criminal act. I will summarize what I hold to be the most solid evidence, based on my reading of all the relevant articles I could find on the Net (including those by early researchers such as John Quinn), and of the following two books: first, chapter 7 of Donald Jeffries’s book Hidden History: An Expose of Modern Crimes, Conspiracies, and Cover-Ups in American Politics (Skyhorse publishing, 2016), which I recommend (you may also want to listen to Jeffries’s one-hour interview); second, John Koerner, Exploding the Truth: The JFK Jr., Assassination (Chronos Books, 2018), which adds little. In addition, John Hankey’s video “Dark Legacy II: the Assassination of JFK Jr” is very useful. However, I advise to skip Koerner’s Part I, meant to exonerate the Clintons and blame the Bushs; for the same reason, I recommend to start Hankey’s video at 15 minutes. So, after the first step of crucial omissions in the NTSB report (JFK Jr.’s 9:39 call to the airport and Pribanic’s report of an explosion), the disinformation process continued in two more steps: first, a NTSB news release about the “probable cause” of the “accident” is falsely presented as “stated” in the NTSB final report, whereas it is in reality a far cry from the picture presented in the report; second, that relatively prudent statement is exaggerated and dramatized in mainstream news, while all contradictory details in the full report are ignored. Let’s see out that works for the two following crucial points: 1) weather conditions and visibility, 2) the pilot’s experience and cautiousness. My point is not so much to determine exactly the visibility and the level of JFK Jr.’s skill, but rather to demonstrate a concerted effort to distort credible reports on these matters, with the obvious intention to convince the public that the lack of visibility and John’s inexperience are sufficient explanations for his plane crash, although in fact, they are not. In the same documentary The Last Days of JFK Jr. appears another private pilot by the name of Bob Arnot, who claims to have flown the same night along the same route as John. He declares there was no visibility, to the point that, when approaching Martha’s Vineyard, he could not see any lights at all. Unlike Bailey, who somehow escaped the attention of NTSB investigators, this Bob Arnot is most probably the unnamed pilot mentioned in the NTSB report as follows: “when his global positioning system (GPS) receiver indicated that he was over Martha’s Vineyard, he looked down and ‘… there was nothing to see. There was no horizon and no light. … I turned left toward Martha’s Vineyard to see if it was visible but could see no lights of any kind nor any evidence of the island. … I thought the island might [have] suffered a power failure.’” That testimony completely contradicts Martha’s Vineyard tower manager (Marvin Wyatt), who is quoted in the NTSB report as saying visibility was great. Which shows that the NTSB report is self-contradictory in some areas. Now, it is a very small world. You can find on Wikipedia that “Dr. Bob Arnot is a journalist, author, former host of the Dr. Danger reality TV series, and previously medical and foreign correspondent for NBC and CBS.” Can you swallow that too? Or do you start to smell a media conspiracy? What JFK Jr. inexperienced and reckless? Let’s now talk about JFK Jr.’s flying experience and skill. Kyle Bailey’s testimony implies that JFK Jr.’s is solely to blame for his own death and for the deaths of his wife and her sister. That view was reinforced by hundreds of comments on air about how inexperienced JFK Jr. was. Just like on weather conditions, the mainstream media gave a grossly negative view of JFK Jr.’s flying experience and skill, unrelated to the NTSB report and to the real testimonies of flight instructors who knew him. The NTSB report reckoned that JFK Jr. had a flight experience of “about 310 hours, of which 55 hours were at night.” During the last fifteen months, he had made 35 flights between Fairfield airport, N.J., and Martha’s Vineyard, including five at night. Three certified flight instructors (CFI) quoted in the report describe John as an “excellent”, “methodical” and “very cautious” pilot. In the early days, some newspapers echoed that view with their own research. John McColgan, JFK Jr.’s federal licensing instructor from Vero Beach, Florida, was interviewed for the Orlando Sentinel, July 18, 1999, and said: “He was an excellent pilot. … In fact, by now he probably has enough hours to be a commercial pilot.” One the same day, the New York Daily News quoted flight instructors Ralph and Chris describing John as a careful pilot, always checking meticulously “every nut and bolt on the airplane. … He was very safety oriented. … John was a natural in flying.” On July 21, USA Today published an article titled “Pilot Kennedy was ‘conscientious guy,’” whose lead paragraph said: “John F. Kennedy Jr. attended the Harvard of flight schools, may have had far more flight experience than has been reported and was known at his New Jersey airport for prudence in the cockpit.” The article quoted other people who knew Kennedy as a good pilot. One question has been the focus of much attention from independent researchers: was there a flight instructor as co-pilot in the plane? Officially, there wasn’t. No fourth body was recovered in the wreckage. But strangely enough, one seat was also missing, and conspiracy theorists such as John Hankey have speculated that it might have had a flight instructor’s body seat-belted on it, which might have been spirited away for the sake of building up the story of an incompetent and reckless John. For if John had flown with a flight instructor, then the whole argument of his recklessness falls. Again, I am mentioning this issue here, not to make any definite conclusion, but mainly to point out evidence of a concerted effort to close the case and satisfy the public that JFK Jr. died—and killed his wife and sister-in-law—by his own recklessness. I personally feel that the question of whether there was a co-pilot in the plane or not cannot be conclusively answered either way. But the important thing here is the strong probability that Robert Merena’s testimony was fabricated or forced, to hammer in the point that there was no co-pilot and that JFK Jr. acted irresponsibly. In this whole affair, we cannot prove directly that JFK Jr. was murdered. What we can prove, however, is that federal agencies and mainstream media conspired in a massive fraud, including the concealment of key evidence (the 9:39 call and reports of an explosion), the distortion of facts (visibility and pilot’s ability) and false testimonies (Kyle Bailey and Bob Arnot being the most likely). That can be taken as indirect proof that JFK Jr. was murdered. Truth seekers such as Donald Jeffries, John Koerner or John Hankey have raised important questions concerning the 10 hours (they say 15 hours) it took for a search to begin after the plane was reported missing by Bessette and Kennedy relatives, at 10 p.m. on July 16th, and for the 4 or 5 days it took to locate and retrieve the wreckage and the bodies. The plane was equipped with an Emergency Locator Transmitter (ELT), which sends out a beacon signal in the event of a crash. According to the original UPI article mentioned earlier, “the beacon was heard by the Coast Guard in Long Island, N.Y., at 3:40 a.m. But as the search went on, authorities seemed to discount the relevance of the beacon signal.” Was the search intentionally directed away from the crash site during three days, in order for the perpetrators to secretly destroy the evidence from the cockpit voice recorder (the NTSB report says that “its backup battery was missing, and it had retained no data”), remove the log book which John kept in a waterproof box and, more importantly in Hankey’s view, remove the body of the co-pilot (together with the missing seat reported by the NTSB)? That is a possibility that finds support in the testimony of Lieutenant Colonel Richard Stanley of the Civil Air Patrol, who “would report seeing what he thought were Coast Guard helicopters around the crash site at about 7 a.m., hours before the Coast Guard or anyone else arrived.” For lack of space, I will not dwell on those issues, which are thoroughly discussed by the above-mentioned researchers. Rather, let’s focus on the tight military control of all procedures following the tragedy, from the search and rescue missions to the news reporting, all conducted under national security standards. The search was done by military planes and vessels. According to John Koerner, “the military immediately instituted in the hours after the crash a 17-nautical mile no-fly zone, and no entry zone, around the crash site. No civilians or media were allowed in this area until the bodies and wreckage were recovered.” On July 20, 1999, we read in the NTSB report, “the airplane wreckage was located by U.S. Navy divers from the recovery ship, USS Grasp.” Why was the Navy, rather than civilian rescue craft, tasked with the retrieval of JFK Jr.’s crashed airplane? More disturbing still, why did the Pentagon take control of news reporting from July 18? But, to me, the most suspicious thing of all is the way the bodies were disposed of after their rushed autopsies: they were cremated in Duxbury’s cemetery crematorium. Then their remains were taken aboard the Navy destroyer Briscoe, and scattered into the sea, near the place where they had found their death. How ridiculous! JFK was a decorated Navy veteran, and he surely loved sailing, yet he was buried in Arlington. It seems to me unconceivable that JFK Jr. would not have wished to be buried near his father. Even Pierre Salinger asked to be buried at Arlington Cemetery, not far from JFK. It is just as unbelievable that the Bessettes, who are said to hold John responsible for their daughters’ death, and to have received 10 million dollars in compensation from the Kennedys, would decide just the same. According to information found in RFK Jr.’s diary, published by the New York Post, Ann Freeman, Carolyn and Lauren Bessette’s mother, “began asking that her two daughters be buried near her home in Greenwich, Connecticut.” It was Edwin Schlossberg, Caroline Kennedy’s wife, who convinced her to have her two daughters cremated and their ashes spread in the ocean. “He bullied, bullied, bullied the shattered grieving mother,” writes RFK Jr., also commenting: “All the Bessette family knows that Ed hated Carolyn and did everything in his power to make her life miserable.” After Carole Radziwill, the wife of Anthony Radziwill, JFK Jr.’s cousin and close friend, complained to RFK Jr. about Schlossberg, RFK Jr. wrote in his diary: “She says she wants to start an ‘I hate Ed Club.’ There would be many, many members. John & Carolyn would have certainly applied.” That surely makes us wonder about Edwin Schlossberg’s interest in the whole affair. So, have we proven without a reasonable doubt that JFK Jr. was assassinated? Admittedly, no. None of the elements analyzed above is entirely conclusive by itself. Perhaps, after all, Todd Burgun was mistaken about John’s radio call to Martha’s Vineyard airport at 9:39 (but why didn’t he come forward to retract his statement?). Perhaps Victor Pribanic lied, or mistook the sound of John’s plane crashing into the Ocean for an airborn explosion (but what about the other witnesses?). Perhaps, among the conflicting reports about the visibility, we should give the benefit of the doubt to the worst reports. Perhaps Kyle Bailey, the last man to see JFK Jr. alive, was really there, before becoming an aviation analyst expert regularly appearing on Fox News Channel, Fox Business Network, MSNBC, CNBC, The Weather Channel, CBS, ABC, NBC, BBC, CTV, I24 News, and HLN, as his LinkedIn account says. And perhaps we should trust Bob Arnot too. Perhaps flight instructor Robert Merena did suddenly remember in January 2000 that JFK Jr. had rejected his offer to fly with him because “he wanted to do it alone.” Perhaps John Junior, at age 39, did ask to be cremated and his ashes spread into the ocean he loved so much. And so on. It is the accumulation of such doubtful elements that is hard to accept. It is also the military control over the operations, right down to news reporting from the Pentagon, which is odd. Add the fact that the regional director of the NTSB in charge of the investigation, Robert Pearce, according to his official profile, later “briefed State Department officials and the Egyptian Ambassador in the wake of the EgyptAir Flight 990 crash [the jet plane that crashed into the Atlantic Ocean after leaving JFK airport, with 33 high ranking Egyptian military officers on board, allegedly by the fault of a suicidal Egyptian co-pilot] as well as supported the FBI on scene at the World Trade Center in the aftermath of the events of September 11, 2001.” I sure wouldn’t trust Robert Pearce to investigate my own plane crash. There is evidence of an accumulation of deliberate omissions, lies and false testimonies from the NTSB investigation to mainstream reporting, in order to blame the plane crash on the pilot alone, regardless of inconsistencies. And so, between accident and assassination, I lean strongly toward assassination. Who orchestrated the plot, then? Behind every Kennedy assassination, John Hankey sees the Bushs, heirs to the Nazis, he insists. Hankey belongs to the category of half-truthers who would rather see the hands of Nazis than of the Mossad. He believes JFK Jr. named his magazine George as a way to “tell everyone who he thought killed his father, by hiding the answer in plain sight.” Hankey doesn’t suspect the Clintons at all. Neither does John Koerner, who starts his book Exploding the Truth by a chapter for “exonerating the Clintons”: the Clintons loved the Kennedys so much they would never have done them harm, he wants us to believe. Donald Jeffries is more rational when suggesting to add John F. Kennedy Jr. to the list of the notorious “Clinton Body Count”, which already includes quite many deaths by plane crash: Victor Raiser, the Clinton presidential campaign’s national finance cochairman (July 30, 1992), Dr. Stanley Heard, a member of Clinton’s health-care advisory committee (September 10, 1993), Hershel Friday, Clinton’s Finance Committee chairman (March 1, 1994). After all, the Navy takeover of the rescue and recovery missions, and the whole national security protocol around the case, can only have been ordered by President Clinton. Roger Stone, a longtime aide to President Richard Nixon and investigator into JFK’s death, believes the Clintons ordered the murder of JFK Jr.’s because he was planning to run for the Senate seat that Hillary coveted. Yet the Clintons certainly had nothing to do with JFK or RFK’s assassinations. So whatever role they played in the case of JFK Jr.’s assassination, they must have been part of a larger scheme. Even if Hillary had a motive to eliminate JFK Jr. from the New York Senate race, I don’t think she would have gotten away with it without higher protections. Let us not forget also that, in all Kennedy assassinations, the key factor for success is the complicity of the mainstream media for more 50 years. The Clintons don’t own the media. Like Michael Collins Piper long before me, and like Ron Unz more recently, I believe that Israel assassinated both JFK and RFK. From there follows naturally the hypothesis that Israel also killed JFK Jr., and for the very same reason as they killed RFK: to prevent him from ever reaching the White House and reopening the investigation on his father’s death. When I say “Israel”, I mean it in the broad sense, as including all the Machiavellian crypto-Zionists infiltrated in all layers of the U.S. power structure, including corporate media. Israel did not just assassinate Kennedys. They keep assassinating their memory, through a constant flow of anti-Kennedy books attacking their character and vilifying their family. This is what JFK researcher James DiEugenio calls “the posthumous assassination of JFK,” the obsession to “smother any legacy that might linger”; for “assassination is futile if a man’s ideas live on through others.” Take for example pseudo-biographer C. David Heymann, who after working for the Mossad in Israel (from his own admission), returned to the U.S. only to write Kennedy biographies, including the salacious Bobby and Jackie: A Love Story, and went on, after JFK Jr.’s death, to claim a ten-year secret acquaintance with him in order to fill the media with rubbish. Why do publishers and mainstream media keep taking Heymann seriously? Why does the New York Post give a positive review of his latest book, American Legacy: The Story of John and Caroline Kennedy (2007), which portrays John Junior as a “novice pilot” who boarded his plane half-drunk and under heavy medication (“Vicodin to relieve the pain of a recently broken ankle, plus Ritalin for attention-deficit disorder and medication for a thyroid problem”), who took off while “the haze had already grown thick and viscous,” and who spent the last 30 seconds of his life “not knowing up from down, frantically pulling at his plane’s controls in a panicked attempt to right its deadly spiral,” “with whirling instruments sending him messages he couldn’t read”? The Jewish elites have hated the Kennedys ever since Joseph Kennedy, as U.S. ambassador in London, tried to prevent Roosevelt from entering World War II, resigned when he did, and then complained that “the Jews have won the war.” Kennedys must pay for “the sins of the father,” as Ronald Kessler titled his book (The Sins of the Father: Joseph P. Kennedy and the Dynasty He Founded, 1996), a not-so-subtle reference to Exodus 20:5 asserting Yahweh’s right of vengeance on three generations. The Jewish elites also hated the Kennedys for everything they represented, including a very strong sense of blood kinship that Jews prefer Gentiles not to have. Paradoxically, in a nation founded on the rejection of monarchy, the Kennedys embodied the idea of ​​royalty, the highest form of a dynastic aristocracy founded not just on the accumulation of wealth and power, but on a patriotic dedication to civil service. It is as if the archetype of royalty had crystallized in the United States on this family, to the point that the name of King Arthur’s court, Camelot, has stuck to their legend. The Kennedys also embodied the Irish Catholic root of the American people, with its deep-seated antagonism to British puritanism, the more Israel-friendly branch of Christianity, which has come to dominate American politics since Lyndon Johnson (“Our First Jewish President” as one American Jewish newspaper calls him). From this point of view, the triple assassination of President Kennedy, his younger brother and his only son are the equivalent in Western Christendom of the extermination of the Romanov family in Orthodox Russia. And I believe that, just like Russia with the Tsar family, America will only be great again when it opens the archives and honors the Kennedys as national martyrs of a foreign power. But wait: there is still one male heir to John F. Kennedy: Jack Schlossberg, son of Caroline Kennedy and Edwin Schlossberg. Will he become “our first Jewish president,” asks Rabbi Jeffrey Salkin? I don’t know, but I’m pretty sure he won’t be assassinated. Laurence Leamer, Sons of Camelot: The Fate of an American Dynasty, HarperCollins, 2005, kindle, k. 225-67. Jackie’s words reported by Pierre Salinger, quoted from Christopher Andersen, The Good Son, JFK Jr. and the Mother He Loved, Gallery Boosk, 2014, kindle, k. 1912-4. Andersen, The Good Son, k. 1962-7. Olivier Royant, John, le dernier des Kennedy, Éditions de l’Observatoire, 2018. Andersen, The Good Son, op. cit., k. 4808-11. 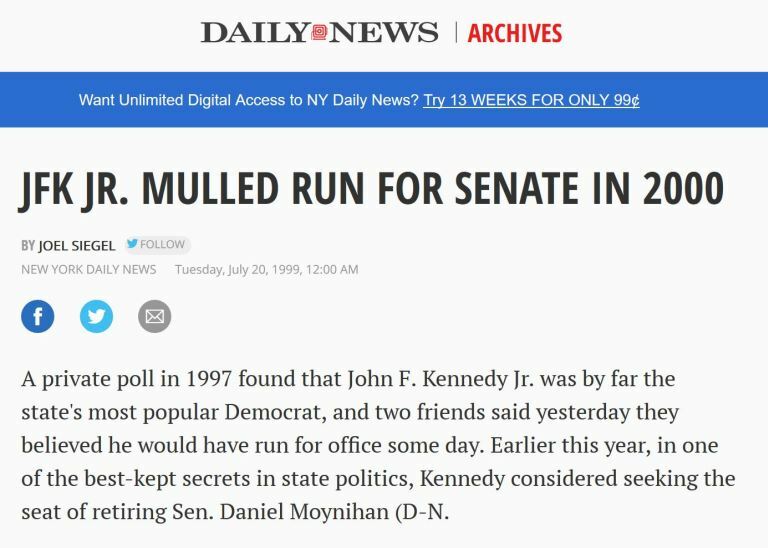 Matt Donnelly, “JFK Jr Would Have Run for President in 2016, Top Aide Says,” The Wrap, July 29, 2016, https://www.thewrap.com/jfk-jr-would-have-run-for-president-in-2016-top-aide-says/ Asked for People magazine if she tought JFK Jr. would have run for president, Terenzio answers: “I do think that eventually he would have made the leap” (video on https://people.com/celebrity/john-f-kennedy-jr-for-president-jfks-sons-political-ambition/ at 3 minutes). Christopher Andersen, The Good Son: JFK Jr. and the Mother He Loved, Gallery Books, 2014, kindle k. 4918-44. Read on Google.books. The audio recording of the book is on Youtube: this passage starts at 7:52. Quoted in John Koerner, Exploding the Truth: The JFK Jr., Assassination, Chronos Books, 2018, kindle k. 540-45. Quoted in Koerner, Exploding the Truth, op. cit., k. 540-5. Wayne Madsen, “JFK Jr.’s Plane Crash Was Originally Treated As Murder Investigation,” Wayne Madsen Report, August 12, 2009, on http://www.whale.to/c/jfk_jr5.html. Madsen told more details to Jeffries, who reports them in his book Hidden History: An Expose of Modern Crimes, Conspiracies, and Cover-Ups in American Politics, Skyhorse publishing, 2016, kindle k. 3981. Gordon Thomas, Gideon’s Spies: The Secret History of the Mossad, St. Martin’s Griffin, 2015, p. 95-99. Laurence Leamer, Sons of Camelot: The Fate of an American Dynasty, HarperCollins, 2005, kindle k. 225-67. Donald Jeffries, Hidden History: An Expose of Modern Crimes, Conspiracies, and Cover-Ups in American Politics, Skyhorse publishing, 2016, kindle k. 3908-14. Anthony Hilder’s article, “The explosive story: a Second Opinion on the Kennedy Crash,” Free World Alliance, was recently accessible at http://netowne.com/conspiracy/konformist/kennedy.htm, from which I secured a copy, but is no more. 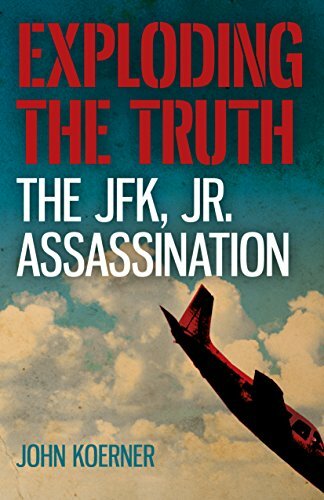 First reported by John Quinn, “Hard Evidence Obtained of Conspiracy, Cover-up in JFK Jr. Death,” on http://www.angelfire.com/wy/1000/HardEvidence.html, reproduced by Donald Jeffries, Hidden History: An Expose of Modern Crimes, Conspiracies, and Cover-Ups in American Politics, Skyhorse publishing, 2016, kindle k. 3956-61, and by John Koerner, Exploding the Truth: The JFK Jr., Assassination, Chronos Books, 2018, kindle k. 1228-46. Michael Daly, NY Daily News, July 18, 1999, quoted from John Koerner, Exploding the Truth: The JFK Jr., Assassination, Chronos Books, 2018, kindle k. 1211-19. Alan Levin, Kevin Johnson, and Deborah Sharp, “Pilot Kennedy was ‘conscientious guy,’” USA Today, July 21, 1999, quoted in Koermer, Exploding the Truth, op. cit., k. 1211-19. Quoted in John Koerner, Exploding the Truth, op. cit., k. 1179-95. 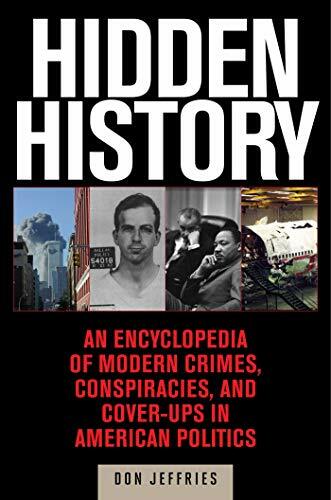 Donald Jeffries, Hidden History: An Expose of Modern Crimes, Conspiracies, and Cover-Ups in American Politics ,Skyhorse publishing, 2016, kindle k. 3879-81. Christopher Andersen, The Good Son: JFK Jr. and the Mother He Loved, Gallery Books, 2014, kindle k. 141-43. Koerner, Exploding the Truth, op. cit., k. 1392-1427. Jeffries, Hidden History, op. cit. k. 3930-32. Paula Maxwell, “Kennedy Cremated in Duxbury,” Duxbury Clipper, July 28, 1999. Quoted in Jeffries, Hidden History, op. cit., k. 4121-25. Anthony Hilder, “The explosive story: a Second Opinion on the Kennedy Crash,” Free World Alliance, read on http://netowne.com/conspiracy/konformist/kennedy.htm. James DiEugenio, “The Posthumous Assassination of JFK”, in The Assassinations: Probe Magazine on JFK, MLK, RFK, and Malcolm X, edited by Jim DiEugenio and Lisa Pease, Feral House, 2003.